Each of our designers have been trained to create hair designs customized to your individual bone structure and facial features. From color and cut to styling, our designers can create a look for you. Up to 96% naturally derived* with a signature blend of protective plant oils including sunflower, castor and jojoba oils infusing the hair with amazing shine for essentially damage-free results. Aveda's fade-resistant color is created with an environmental and social conscience that you can feel good about using plant power instead of petrochemicals. Remaking hair’s texture into your own image. Today’s permanent waves and smooth-outs create kinder and gentler ways to subtly or seriously change hairs natural behavior without damage. Botanical Therapy Treatments tap the wisdom of Ayurveda (the ancient healing art of India) and combine the power of touch with aroma-therapeutic essential oils to create a healthy scalp – the foundation for beautiful hair. A customized treatment gives strands intense moisture or repair – restoring balance to the ecosystem of the scalp and hair. Balmain and Babe Hair Extensions are an innovative method of adding volume, color, creating texture or adding length to your natural hair, the possibilities are endless. 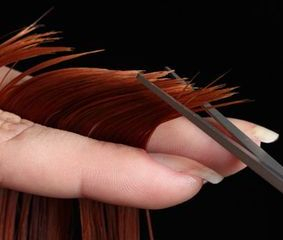 Balmain and Babe extensions offer an extensive range of extensions and hair pieces providing you with endless creative opportunities to achieve beautiful, healthy and shiny hair. Our goal is to fashion your appearance for that special occasion, to ensure a Picture Perfect Day! Our makeup artists specialize in everyday wear, photography and special occasions. For That Picture Perfect Day! On-Site available for your convenience. © 2019 Jason B. William Salon Inc . All Rights Reserved.